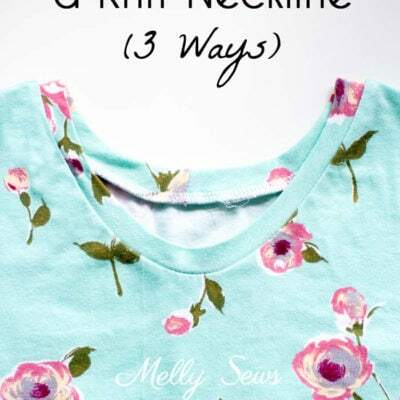 Hey y’all, welcome to sewing with knits month on the blog! 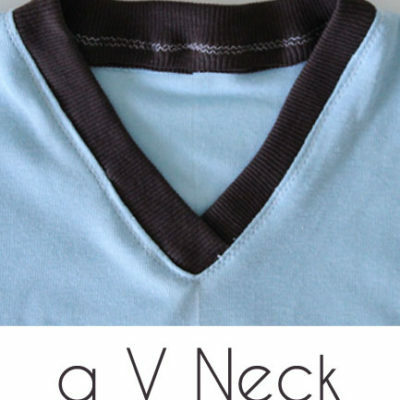 This month I’m going to be covering tips and techniques for successful knit sewing, and that starts with knowing your knit fabrics. 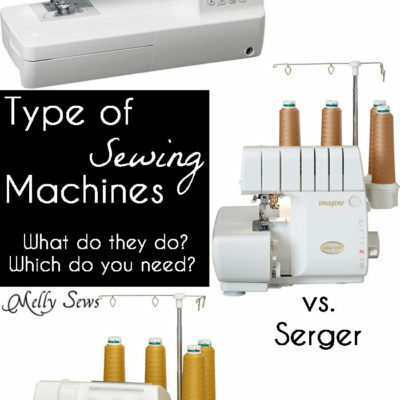 Because the more you know, the more likely you won’t curse your machine and give up on sewing knits forever after you try it. 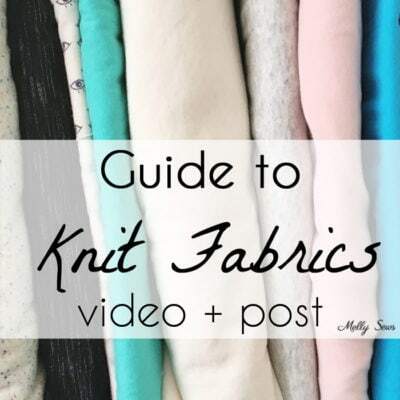 So today I’ve got a video showing different types of knits, how they’re made, and how they behave. If the video below won’t load for some reason, you can also watch it here. And if you prefer a written rundown of everything I talk about in the video, check out this post. 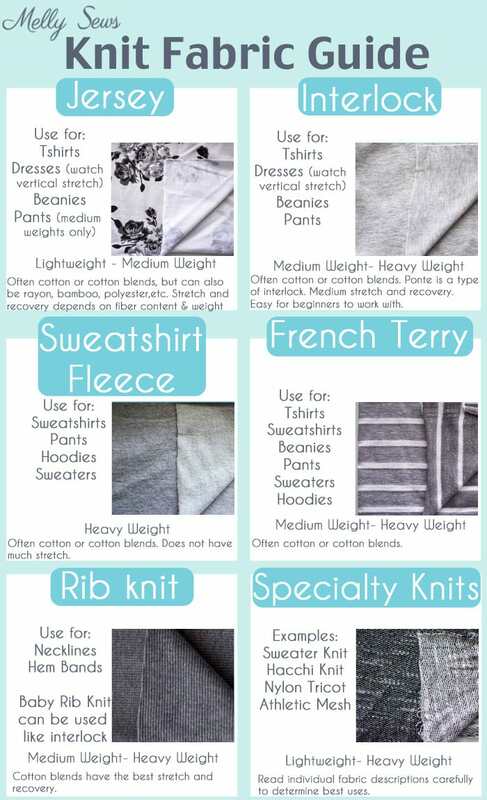 And finally, here’s a great cheat sheet on the types of knit fabrics. 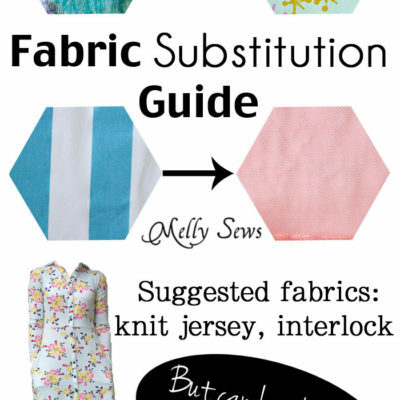 If you’re an absolute beginner to sewing with knits, note that I recommend interlock as a great starter fabric. 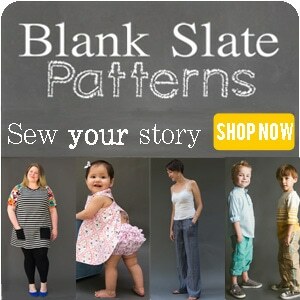 Thank you for sharing all these patterns with us, and some REE to boot. 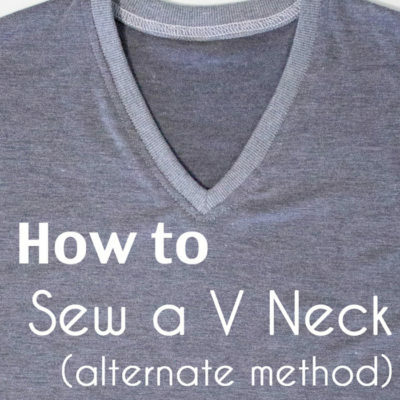 With the cost of living today and the quality of store made [mostly made in China sweatshops] items it’s well worth dusting the sewing machine and start sewing your own cloths. Thank you again and again for your inspiration. That video was AMAZING. 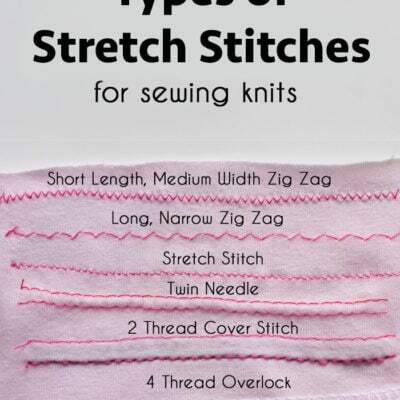 I have sewn for 45 years, and never understood what you just explained in plain English. Thank you SO much! I agree with Judy! That’s amazing information! 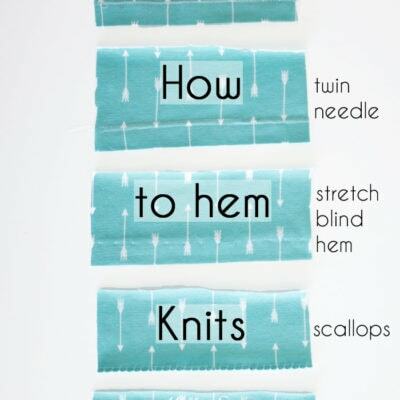 Your demonstration totally demystified knits!! (I’m a crocheter, so I still need to see the knitting in slow motion to fully comprehend how it works!) I could see the difference between the front/back pearle/loops and that made it super clear! 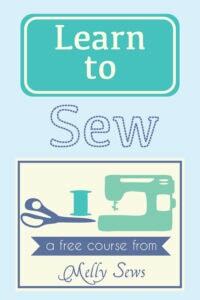 I’m sharing this with all my sewing friends on facebook!!!!!! Thank you so much! 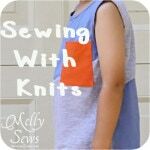 That was great information; although I knit, I didn’t make the connection between a hand knit fabric and a machine knit fabric. Well done! Melissa, I just found this video and watched it. 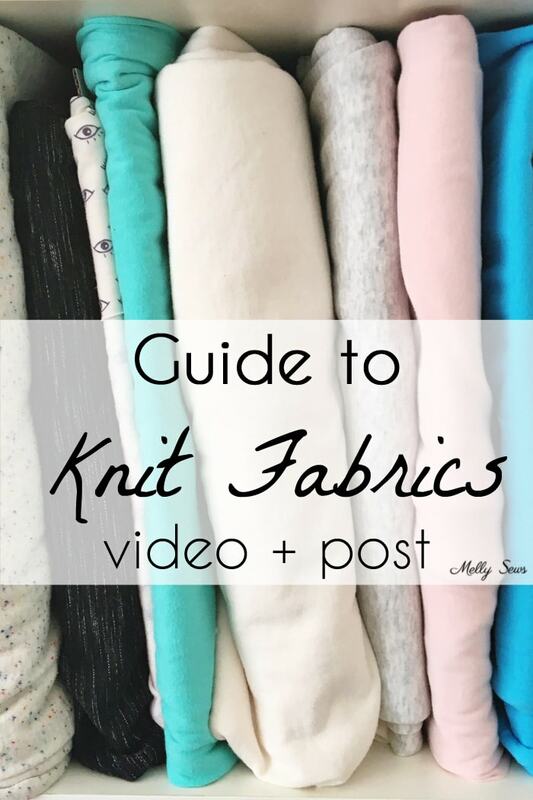 What a great explanation of knits. 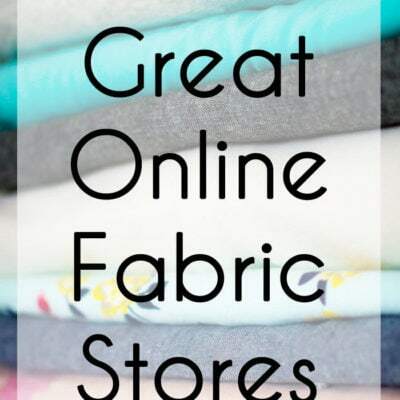 I have always wanted to order knits online because the selection is so much better than what I have at my local JoAnn’s, but have always been afraid because I like to feel the fabric and I wasn’t sure what type to order. This will greatly help me with testing various materials and composition.